Recent research points to the link between PTSD and headache. 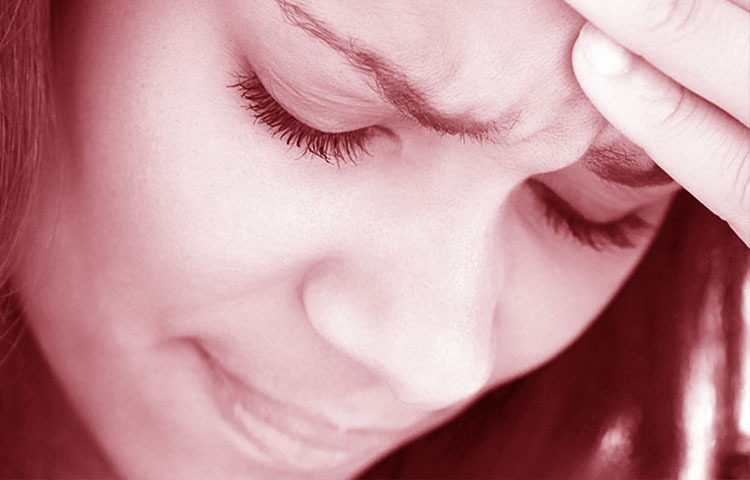 In one study, researchers evaluated patients at a women's headache center. Of the women surveyed 29% had survived domestic violence. In fact, a woman's PTSD strongly influenced her headache severity. The authors pointed out that practitioners treating women with headache must be aware of the possibility of PTSD and domestic violence. Another study examined posttraumatic headache in veterans. The literature review discussed how there is a higher prevalence of PTSD and sleep disturbances among veterans, and noted that combat-related headache is often the result of traumatic brain injuries. The authors noted that there is little research on posttraumatic headache which might lead practitioners to follow traditional guidelines for treating primary headaches. They suggested that the posttraumatic headache may necessitate a multidisciplinary treatment approach. PTSD has already been linked to a slew of post-concussive symptoms, and chronic migraine has also been found to be more common in women with depression (and vice versa). The research highlights the need to address stress and depression when treating posttraumatic and chronic headache. Gerber MR, Fried LE, Pineles SL, Shipherd JC, Bernstein CA. Posttraumatic stress disorder and intimate partner violence in a women's headache center. Women & Health 2012;52(5):454-71. Waung MW, Abrams GM. Combat-related headache and traumatic brain injury. Current Pain and Headache Reports 2012;doi: 10.1007/s11916-012-0294-7.